We've sold thousands of english saddle pads over the years, but none come close to the superior quality of High Point pads! Thicker fabrics, tighter stitching, and a tough interior of dual needle punch felt combine for a pad that looks like a million bucks and wears like the toughest pair of jeans. It's the American Made quality we love! 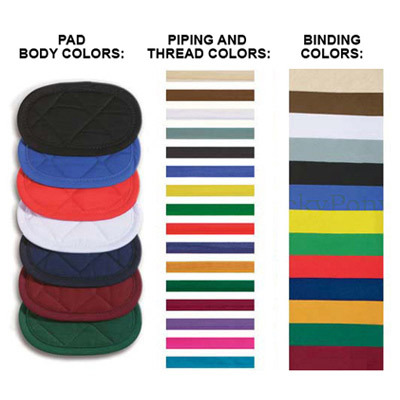 High Point pads are designed to fit the natural shape of the horse's back and have a contoured spine that keeps your horse's shoulders freer and the pad locked in place. 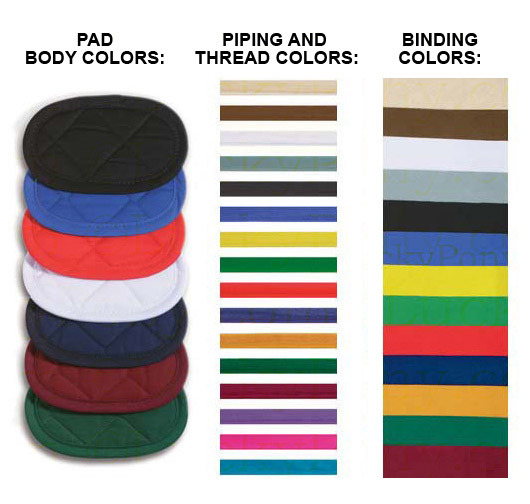 The layers of tough felt offer superior air flow and cushioning that won't bunch or crush with extended use- felt has been a standard for western pads for years, for good reason! Features 7oz (heavy) poly/cotton top fabric and 100% cotton flannel on the underside. 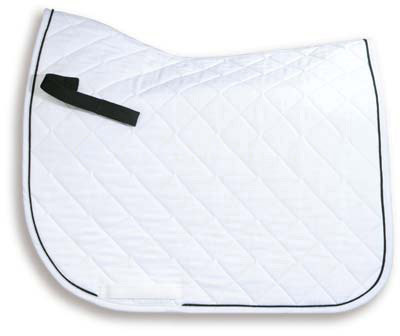 This large / warmblood size square dressage saddle pad is recommended for riders with saddles over 17". If your saddle is under 17", you should order the Average Size High Point Dressage Pad. 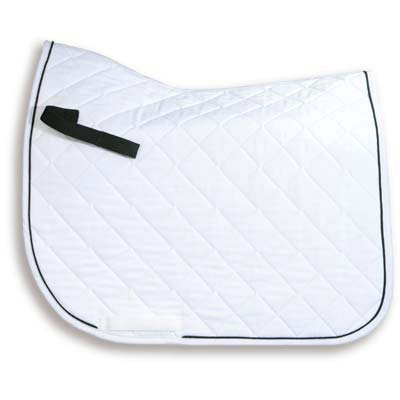 If you use varying saddles larger and smaller than 17", order this larger pad. 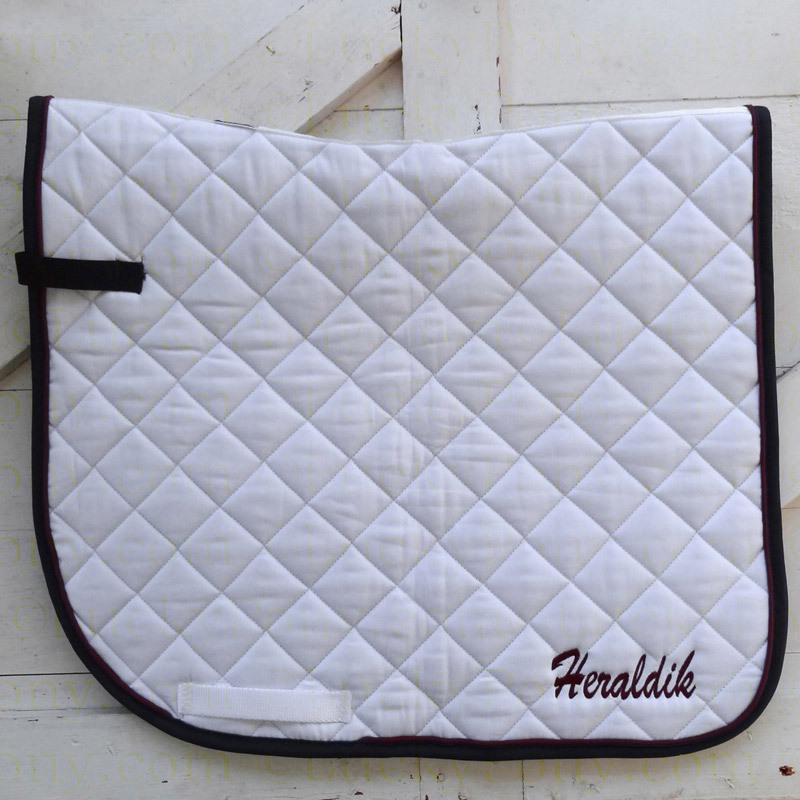 Review Text: This Custom English for warmblood pad is perfect for my Hermes saddle. Other dressage pads were a little too small but this is actually the best I've ever found even though I ride a thoroughbred. I also love the fact that I can choose all the colors including the piping. Review Text: I have purchased several of these pads and have been extremely pleased with them. I get lots of compliments when I show in them. The quality is very good and they look great on my smaller sized dressage horse.